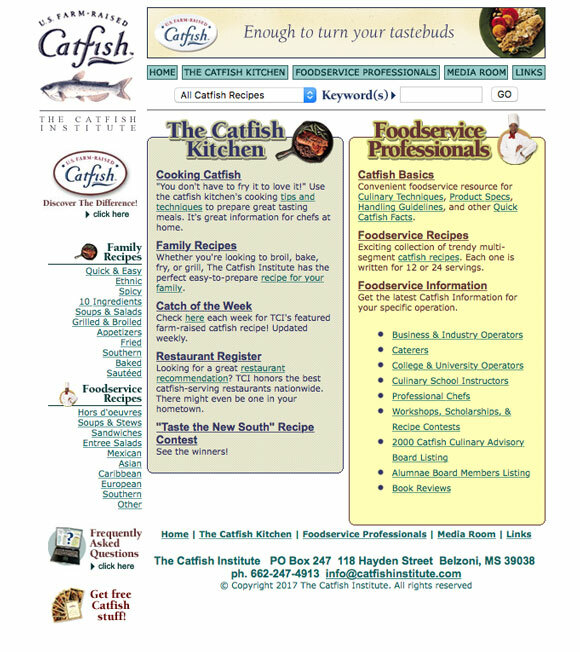 The Catfish Institute was a website developed by Fleishman Hillard for U.S. Farm-Raised Catfish, an American trade group promoting farm-raised catfish. 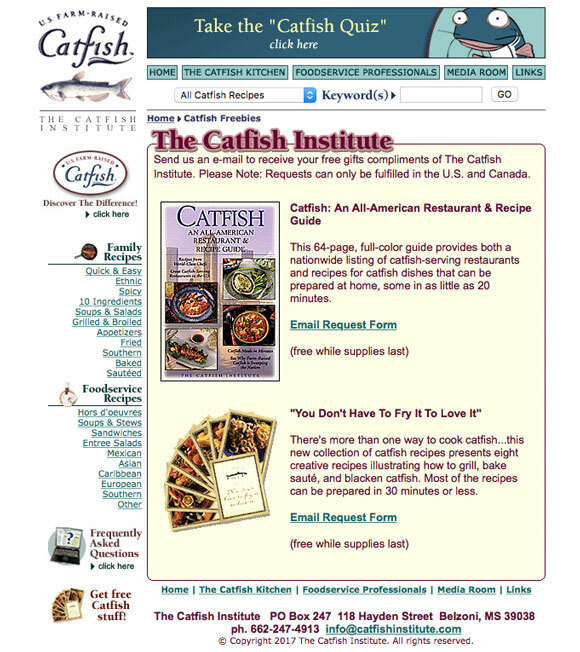 The site was mostly targeted to foodservice professionals and offered recipes and food preparation videos featuring celebrity chefs like Charlie Trotter. Update: This site has long-since been replaced.